Too much of a good thing can hurt. Your electricity and electrical appliances are so much a part of your life you hardly think about them—until there is trouble. Trouble comes in the form of power surges caused by demand fluctuations within the home (90%) and outside events such as lightning strikes, cars colliding with utility poles, limbs falling on electrical lines, etc. (10%). Any of these occurrences could cause uncontrolled electrical surges in your home’s wiring to possibly damage the appliances and electronic equipment you depend on. A power surge can come into a home through any wire, including antenna lines, telephone wires and television cable lines. Transient surges last from nanoseconds to milliseconds. Whether the disturbance is natural or man-made, small-scale or catastrophic, today’s surge protection systems can make your equipment more dependable than ever before. UL 1449 is Underwriters Laboratories’ safety and performance standard for surge protection equipment. In August 2014, this Standard was revised to the 4th Edition. 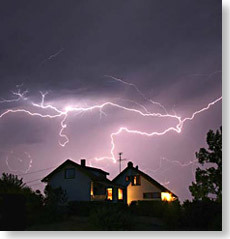 To learn more about Clamping Voltage, Joules Rating, Standards, etc., visit http://en.wikipedia.org/wiki/Surge_protector. Grounding—the first line of defense. Ensure that your home is properly grounded. 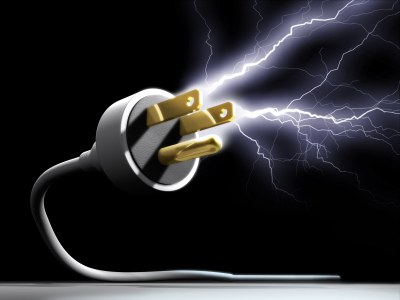 Point-of-Use Surge Suppressors—the third line of defense. Install point-of-use/ plug-in surge protection devices to protect your sensitive electronics and digital devices. These devices can be purchased at home improvement centers, office supply stores, electronic stores, etc.